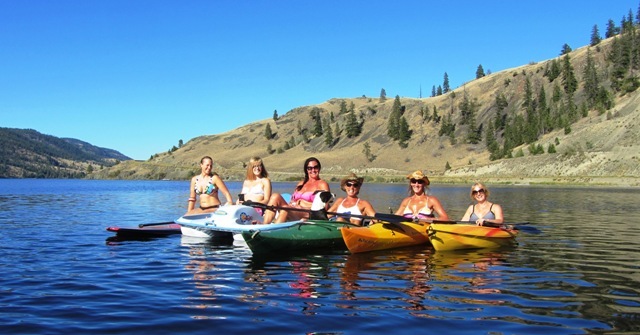 A daytrip from Kamloops can bring you to hundreds of beautiful lakes offering everything from wildlife viewing, kayaking and stand-up paddle-boarding to fishing and camping. Summer is the best time to explore our great lakes. These are ten of my all-time favorite that I have visited so far but I still have plenty left to discover. 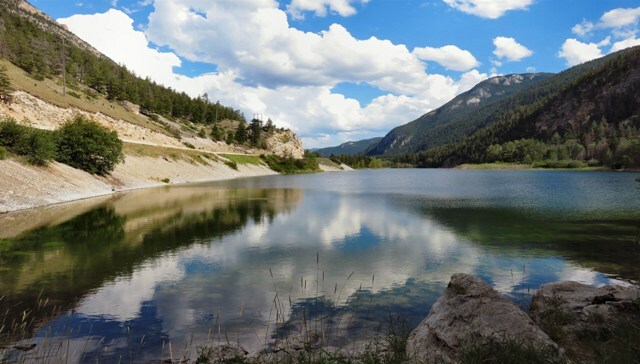 Probably the most popular lake amongst Kamloops residents this lake has everything from private home, numerous hiking trails and waterfalls, camping, water-skiing, boat rentals and also the magnificent Copper Island. 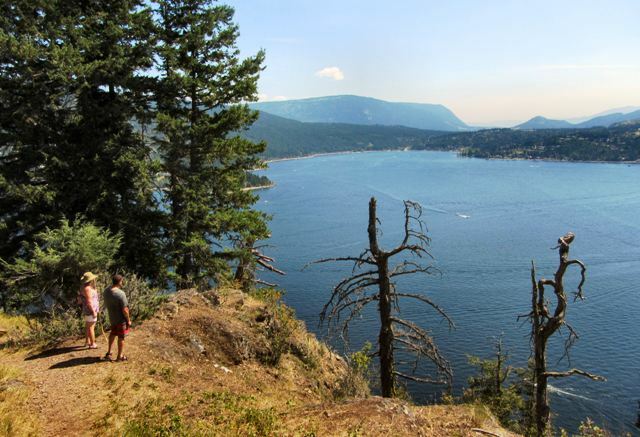 Kayak to this awesome island and climb the trail to the top for a breath-taking view of the lake. Yes that is a fish jumping right in front of my kayak. It was in the afternoon around feeding time and the lake was alive with fish jumping all around me, birds chirping and loons nesting...truly a magical place! There are so many little known secret places tucked all around this gorgeous lake. 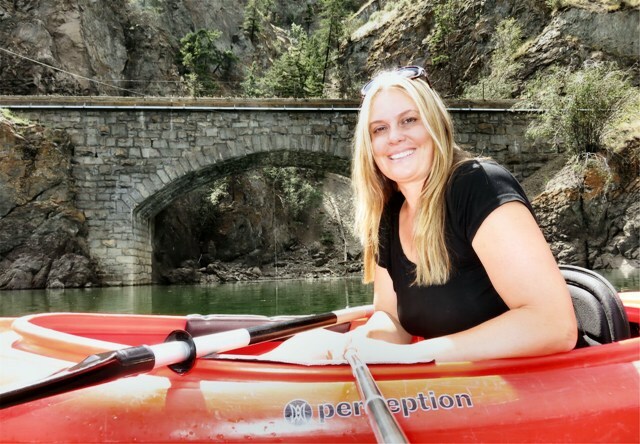 Old stone train bridges, hoodoos, a balancing rock, eagles nests, train tunnels, rock bluffs, and the amazing pained bluffs are just a few of it's hidden treasures making it an adventurer's paradise! 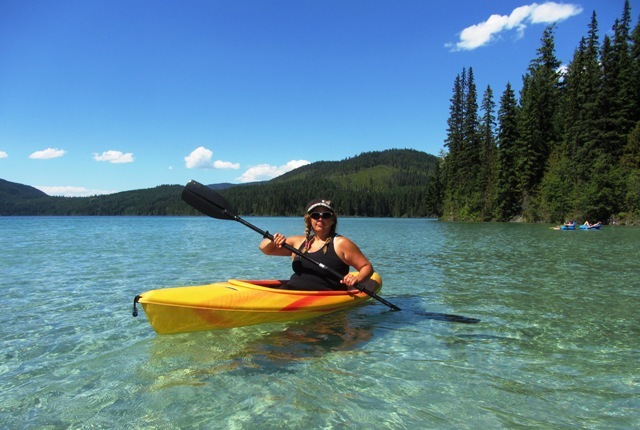 Located on the road to Sun Peaks, this medium sized lake is a kayaker and stand-up-paddle boarder's heaven. Tiny little islands offer calm waters on a windy day where you will see plenty of fish jumping, dragonflies mating and you may even spot a turtle. Last time I was there a turtle swam right up to my kayak and scared the crap out of me. This oasis in the middle of a desert landscape is one of the best places near Kamloops to cool off on a hot day. The water is warm and great for swimming and kayakers can paddle the shoreline and see if they can find the old mystery car that has been parked along the banks for over 50 years. I stumbled upon this lake by fluke during a camping trip outside Revelstoke. It is one of a large chain of lakes and waterways that line the Trans Canada highway between Sicamous and Revelstoke. 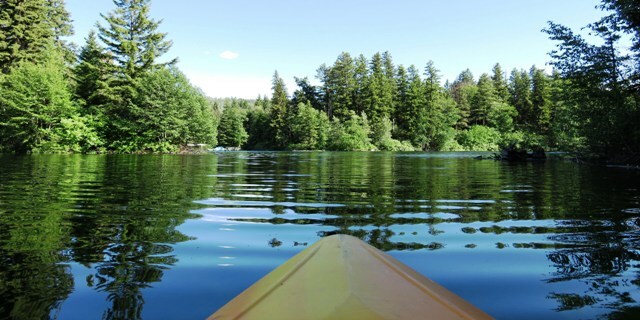 Paddle through lily pads, search for fresh water clams and paddle up the two creeks located on each end of the lake. 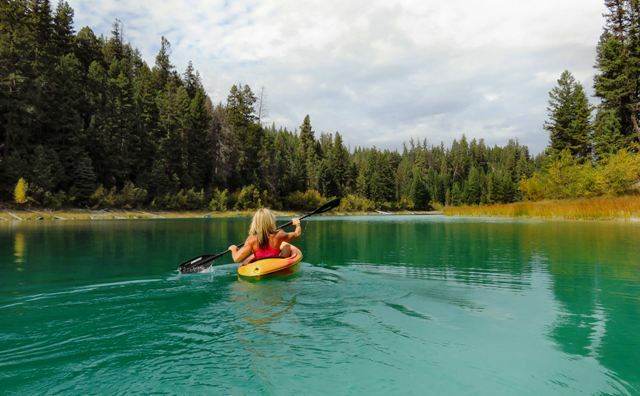 Located in stunning Marble Canyon Provincial Park, this incredible little lake has clear water, a majestic waterfall to hike to and the best views ever of the surrounding canyon walls - a popular place with rock climbers. 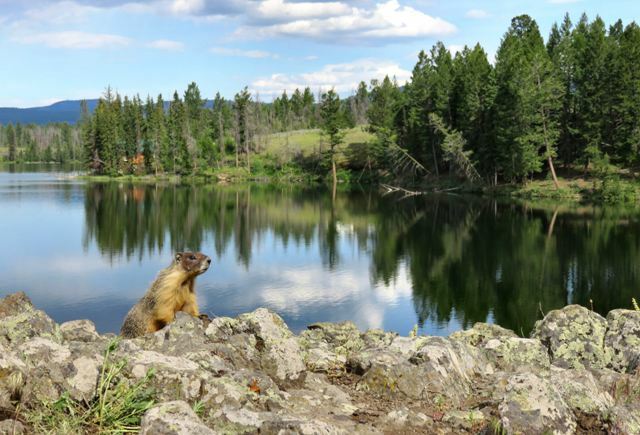 Part of a chain of man-made lakes in the beautiful Tunkwa Provincial Park, this picturesque lake is home to a large population of Yellow-Bellied Marmots. Don't be surprised if some of you pictures get photo-bombed as they do enjoy being posers. It was a close race for number one as Kentucky Lake missed it only by a hair. This aquamarine little piece of paradise is a kayaking heaven. 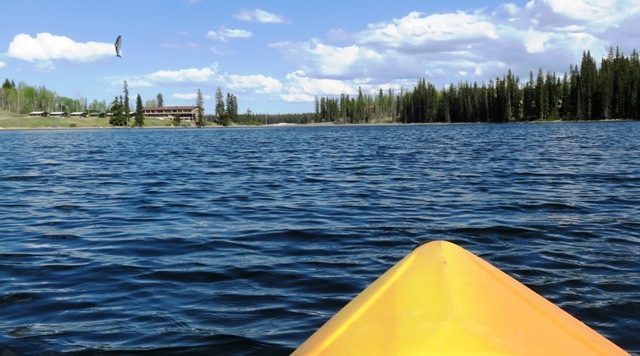 After you finish your paddle take a hike around the lake and see it from a new perspective. While this is my favorite lake, I am asking people NOT TO VISIT IT AT THIS TIME! Due to it's popularity in social media it has become overcrowded and this is causing some serious environmental concern for this precious gem. It is not set up to accommodate these crowds and the resort is already booked up until mid-September. Please save this one for a fall excursion when this calm down and lets keep this beautiful lake that way for years to come. Thanks! • There is a recommended engine power restriction of 7.5 kw (10 HP) – for fishing purposes only. • There are only 12 campsites, and it is on a first come first serve basis. If the recreation site is full, please consider camping at one of the many recreation sites on Adams Lake (www.recreationsitesandtrailsbc.ca) . Do not camp in non-designated sites. • There is a limited amount of parking near the recreation site, once this is full, please consider visiting Johnson Lake another day. • This lake has been here for many years and will continue to be here for many more years. If the area is full, consider visiting another day. Be aware of your environmental footprint at this unique recreation feature. Environmental degradation, littering, impeding traffic, and unauthorized camping are all ticketable offences under the Forest and Range Practice Act and Recreation Regulations. The public should be aware that enforcement agencies will be patrolling this area.